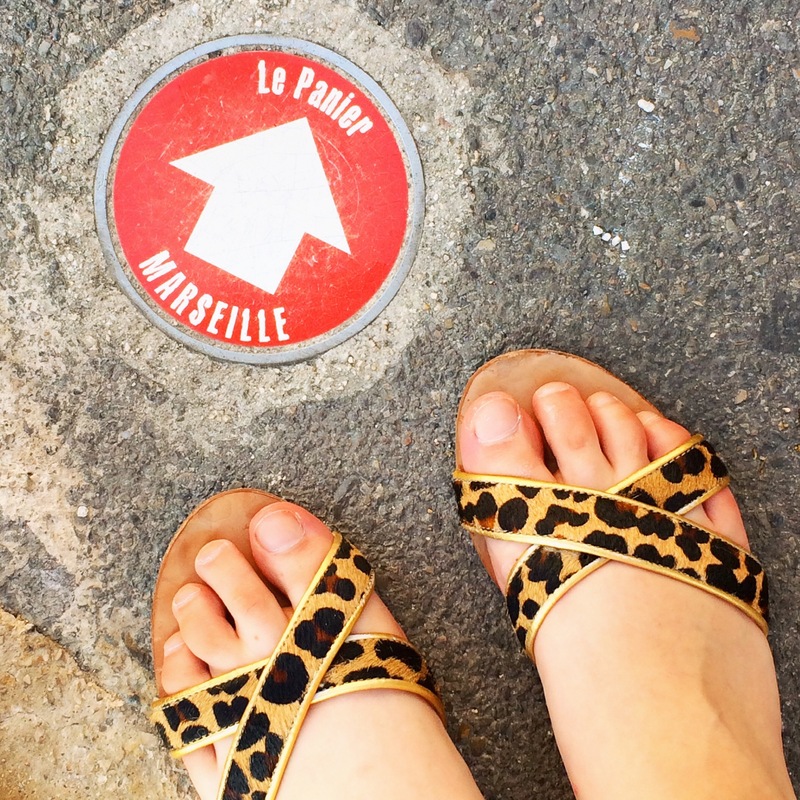 If there’s one thing it’s hard to get right on holiday, it’s packing appropriate footwear. Those perfect summer sandals that you can walk all day long in, and which still look good in the evenings. Luckily, I think I’ve found a pretty good bet in these gorgeous French Sole sandals that I bought in last year’s sale! With leopard print, pony hair straps and a gold glitter back, you’d think these shoes would be incredibly delicate – but they’ve held their own for over a year now and are pretty comfortable for a few miles’ worth of walking! 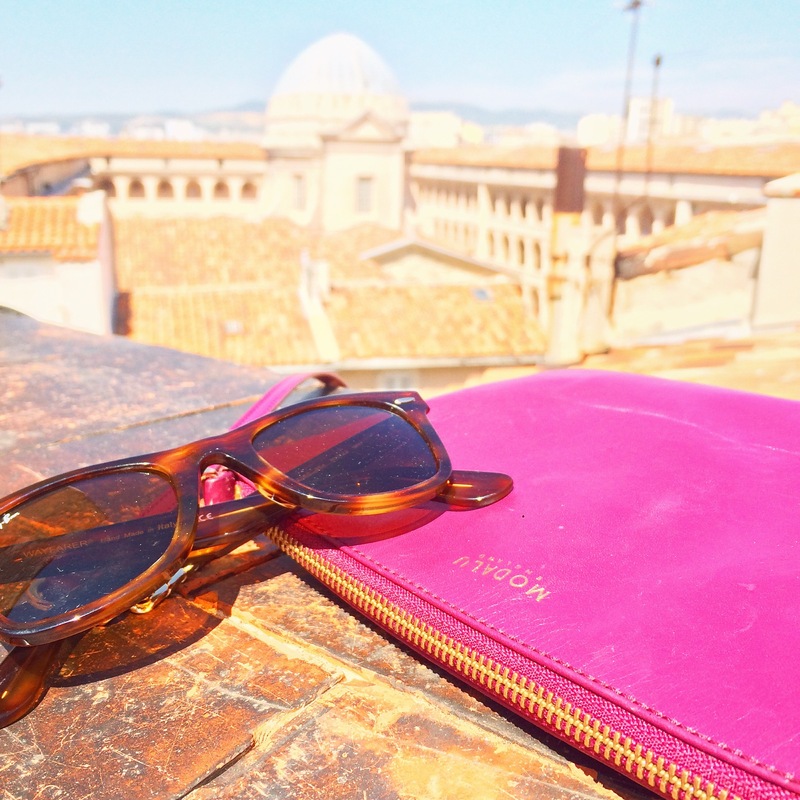 And, paired with my Modalu Twiggy bag in berry, they make a great duo for laid-back sightseeing. The Twiggy is still available in a range of colours at Modalu’s site here. These French Sole sandals are no longer available, but there are some great leather alternatives here. Finally, Ray-Ban Wayfarers in tortoise are available from Next here. 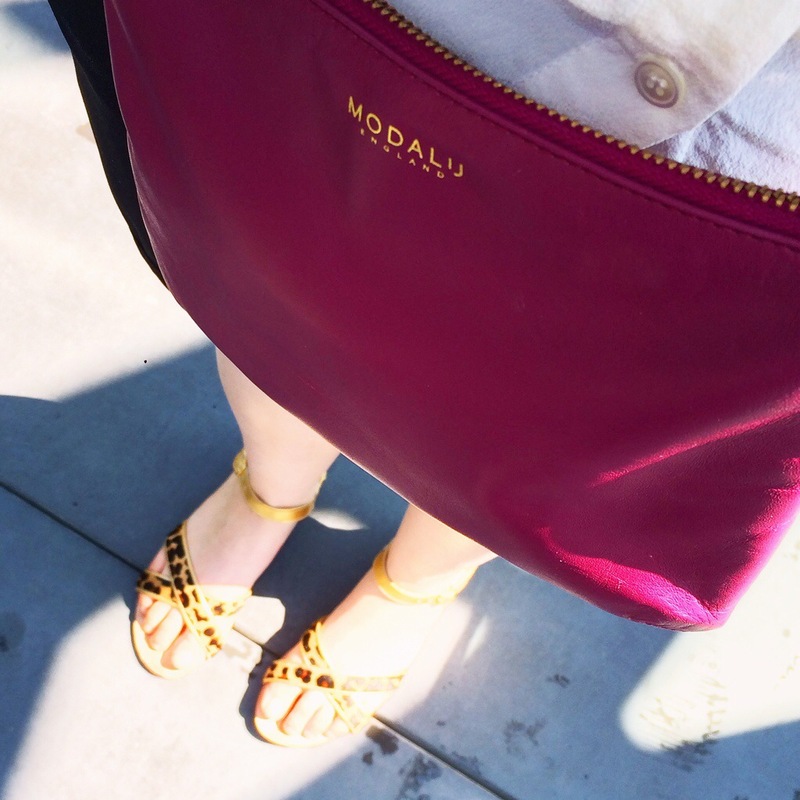 love the sandals and bag! !